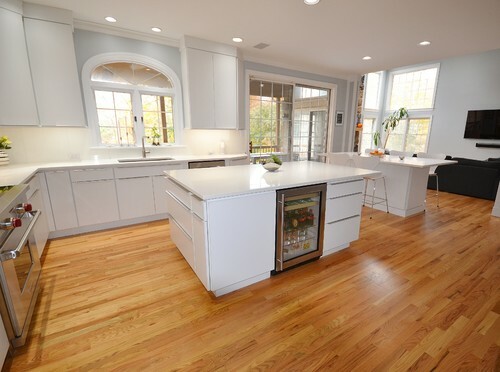 Kitchen Design by Eric Adams at Chester County Kitchen & Bath and supplied the customer with gorgeous cabinets and granite. 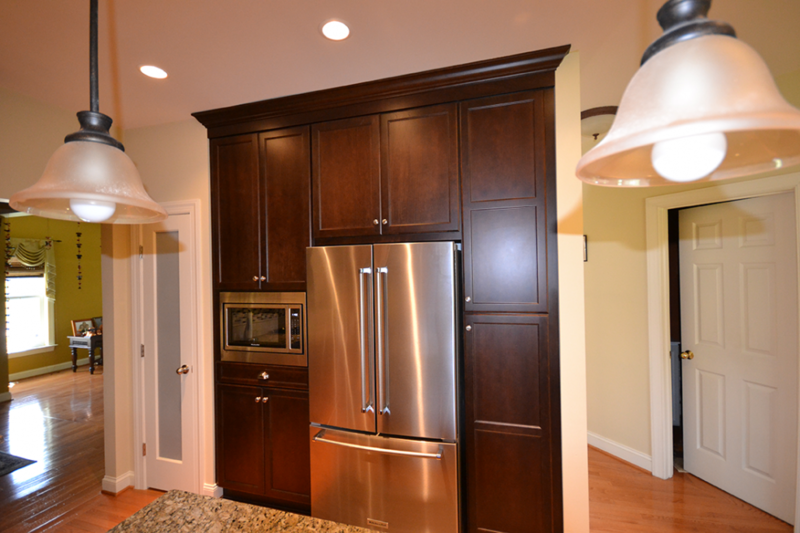 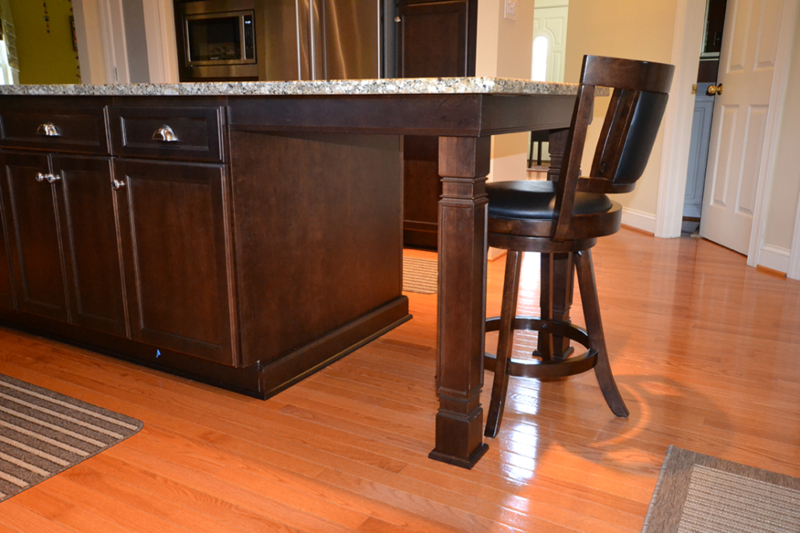 Fieldstone Cabinetry was selected in Cherry, Stratford Door style with a Mocha stain. The wall cabinetry is “Stacked wall cabinets to the ceiling” with glass door inserts in the upper sections. 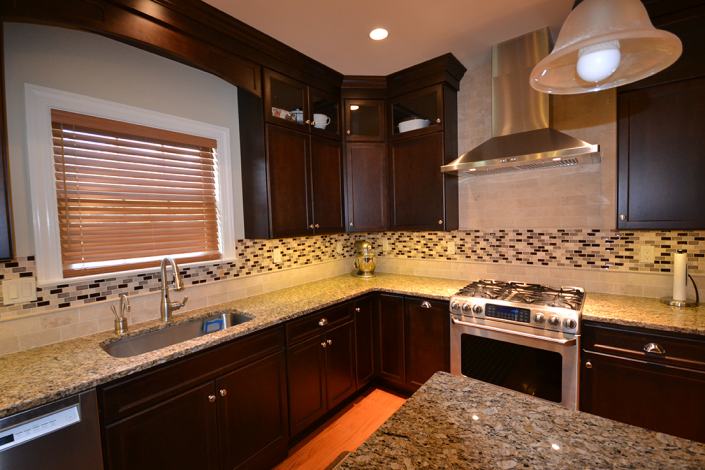 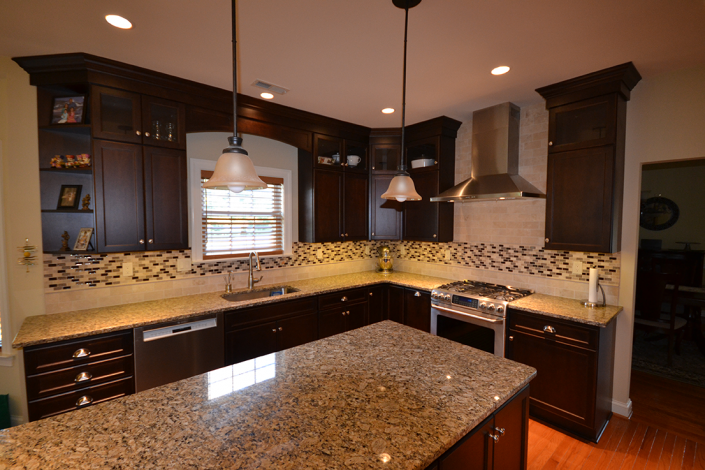 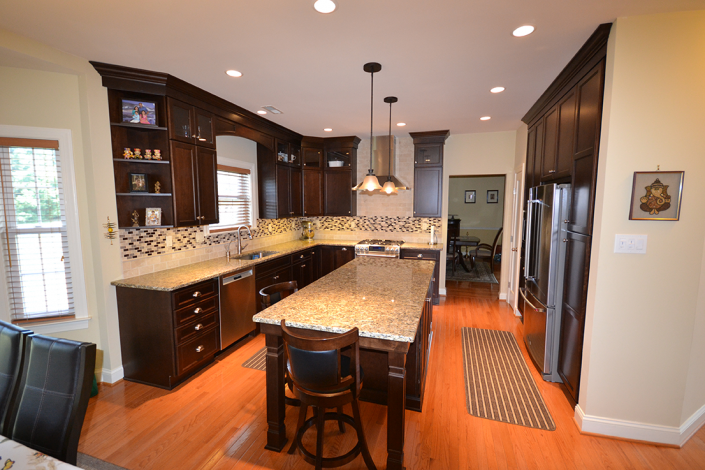 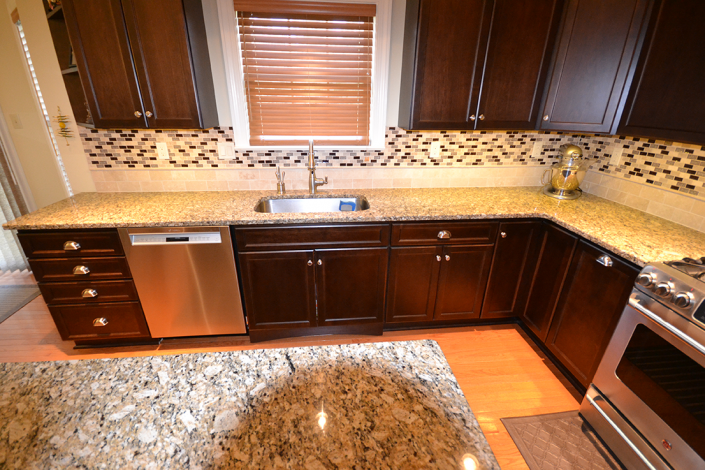 Gorgeous granite countertops in New Venetian Gold. 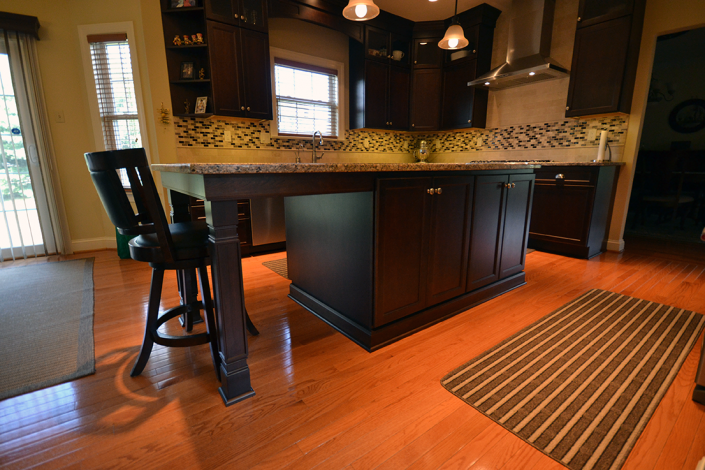 The added upgrades are a base cabinet pantry pull out and roll trays in the tall pantry cabinet.